Photo "Camelia " Congratulations ""
flowered.I feel that I have been very lucky this year as a lot of Camelia's have been hit by the frost and mine seem to have escaped well.,maybe because they are quite sheltered.Enjoy My Friends.Warm Wishes ,Brian. Beautiful colours, light and background! so nice.. i love camelias but are terrible with me.. i had a so nice plant but a winter took it with him..
this one is great red colour.. beautiful, dear brian.. Happy Easter to you and to your family,have a great day! Beautiful flower, very rich colors. 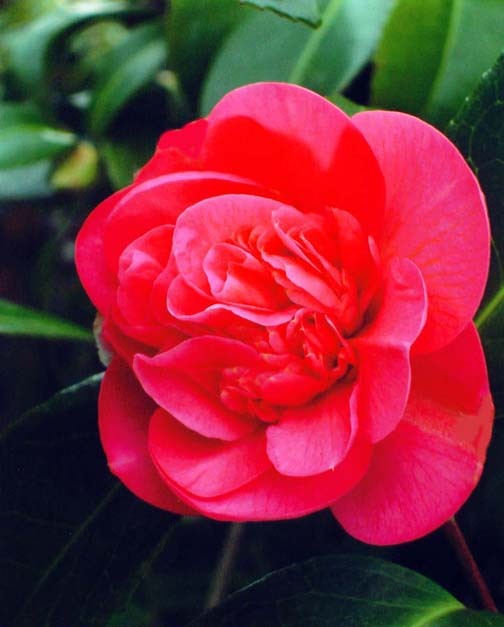 I shall have to attempt to add camelias to the garden! Wonderful, Brian - as always. Thank you for the frequent walks in your garden! Beautiful! I only know the white camellia and I adore her perfume. Kisses. Another excellent, wonderful and lovely capture!!!!! Very well done, my friend! !